For some men a thick beard is a symbol of manhood and strength, while for others it may be a mandatory requirement in their religion. It is also a fashion among many young men to have beard. Even though a person may take good care of their appearance and consume a healthy diet, beard baldness can be an issue. Beard baldness or fewer hairs on your beard could be down to genetic hair growth patterns, or even as a result of damage. And the simple solution to this problem can be beard transplant surgery that alleviates bald patches, creating a full healthy beard or even a well-shaped goatee. Thickening up facial hair with a beard transplant is a popular procedure that can work wonders. Transplanting facial hair makes it possible to grow and maintain sideburns and a grooming beard giving a very masculine appearance. FUE Beard Transplant treatment procedure is available at Expert Hair Transplant in turkey. How Does Beard Transplant Work? The Follicular Unit Extraction (FUE) methodology, as utilized for hair transplants, is also used in Beard Transplants. 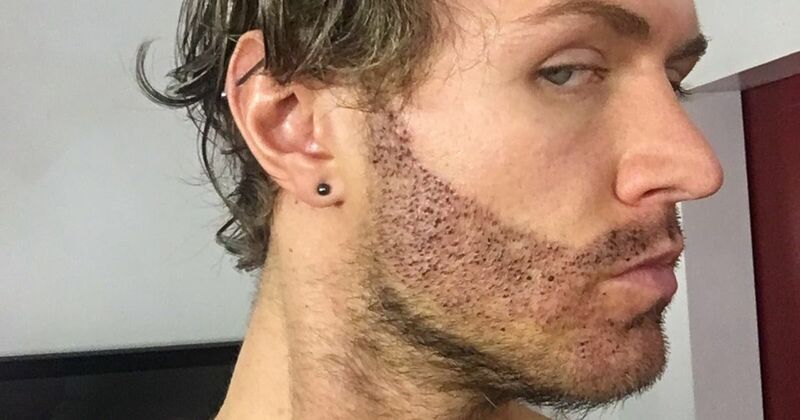 FUE Beard Transplant technique is a non-invasive method used to reestablish hair thickness. This technique can take in the between three and nine hours depending upon the range treated and number of follicles required. For e.g. some men may require up to 1,500 follicles for a goatee, while a full facial hair transplant may require much more. A FUE Beard Transplant is a one day outpatient surgery at Expert Hair Transplant and allows minimal downtime post-surgery. A Donor Area from the lower back of the scalp is used which has thick and good hairs and then every hair follicle is taken out from the donor area in turn. The surgeon utilizes “punches” to trim in and around the follicle. Depending on the number of the follicles required the width of these punches is decided. The better the hair the smaller the ‘punch’. The beard transplant clinic in turkey prescribes medication for the healing of the donor area. Beard restoration surgery can completely alter the appearance of your face, giving it a more contoured line and a fuller, more neatly shaved look.